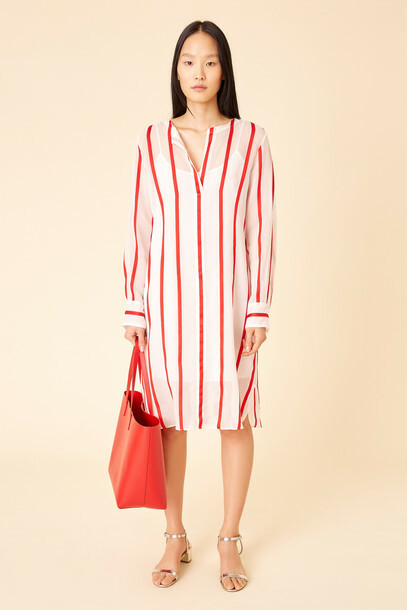 Italian cotton silk red and white stripe tunic dress. Relaxed fit. Long sleeves with drop shoulder and split neckline. Knee length. Back button closure.